Without trying to sound like a crusader of some sought, I firmly believe every business especially small businesses and startups require the services of an Accountant. They can be employed on a full time basis or contracted as a consultant to provide accounting services. Apart from the rudimentary book-keeping that accountants regularly do, they are also supposed to use entries made during book-keeping to generate important financial reports for management or the owners of a business. 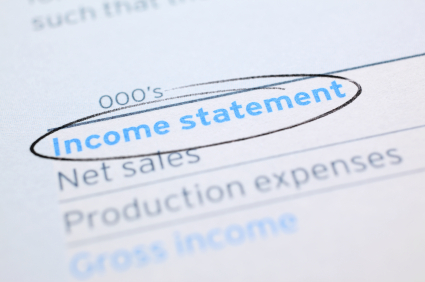 Here are five very important reports I believe your accountant must give you periodically. 1. Bank reconciliation statement – Sometimes when you look at your bank account balance you may see an amount that is different from the balance you have in your cash book either kept by you or by your accountant. The reason for this is because it is either you have paid out cheques that are yet to clear from your bank account either because the beneficiary is yet to present it to the bank or due to a delay arising from the ordinary course of the bank’s operations. It could also be that whilst you have acknowledged being paid cheques in your books you may not have lodged in the actual cheques in the bank. Therefore a bank reconciliation is an attempt to reconcile your bank balances as it is kept in your books with that of the bank. This report must be prepared at the end of every month (at least) by your accountant to ensure that you properly track all cheque payments and receipts. 2. Management accounts – Management Accounts are a set of accounts that include your balance sheet, profit and loss account and cash flow statements along with the notes to the accounts. They reveal to you how your business has performed within stipulated period and also reveals a snap shot of your financial position at any given time. Financial Statements are probably the most important document an accountant must give you as it contains the financial position of your company which stakeholders such as your shareholders, financiers and even tax authority will need for decision making. They can be produced monthly, quarterly, bi annually or annually depending on the management’s reporting policy. It is preferable to present this report at least quarterly. 3. Daily sales report – Your daily sales report reveals how much sales or revenue your business has generated at any given time. Your sales report help you track for example, revenue growth and sources of revenue. It can also be tailored to reveal sales by segment, per week, per month or by volume. This is often prepared side by side a comparative period to help you analyze trends effectively. A sales report will contain names of customers who bought goods or services, amount paid, quantity bought, price per unit, type of good or service, commissions if any, value added tax component, WHT if deducted from your invoice, good returned. 4. Debtors and creditors report – Whilst your marketers can record sales it doesn’t actually mean that money has been received. Conversely, when you purchase goods and services from your suppliers you may need not pay them immediately. Both of these can represent extra money for you or less money for you depending on what the report suggest. When your debtors are growing faster than your creditors it means, that you are increasingly getting lesser cash per sales made compared to higher payments you make per purchases delivered. A debtors and creditors report should be categorized into periods such as those currently owing, those owing within 30 days, those owing between 30 and 60 days and those owing over 90 days. When you receive this report monthly, it easily helps you spot any potentially liquidity crisis that you may face or a even a debt that if not taken seriously may be lost forever. 5. Cash inflow and out flow statement – Your accountant should keep a cash infllow and outflow statement that reveals how cash is spent on a daily basis. It is like a spreadsheet imprest statement. Because a lot of transaction is carried out by cash in Nigeria, companies are fond of keeping loads of cash in the office which they ordinarily would have kept in the bank. To ensure this cash inflow and outflow is properly accounted for, your accountant must update it as transactions occur and present it to you at least weekly. This report can help you expose any fraud such as teeming and lading which is a common way of stealing cash even when it appears it is avalable in the cash book. A business owner may regularly be told he has N100,ooo cash, but that may not be the case as money can be taken out and never replaced by your cashier and yet deceptively show that the cash is there in the books. This risk is often mitigated when you conduct random spot cheques to see of the cash stated in the “inflow – Outflow” is actually represented physically in the bank. ← Is Arunma Oteh qualified to be the DG of SEC?